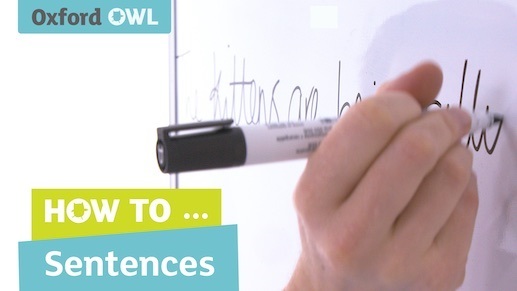 Watch these grammar videos from our How to … series, designed to help parents better understand how grammar is taught in school, and what you can do at home to support your child's learning. Teacher and parent, James Clements, give a fun introduction to different sentence types, including statements, questions and commands. Watch some fun ways to explore sentence types at home with Emily and Albie. Learn about phrases and clauses with Emily and Albie.